HARRIS COUNTY (KTRK) -- Authorities are on the lookout for an accused murderer in the shooting death of a 64-year-old man at his apartment in north Harris County. 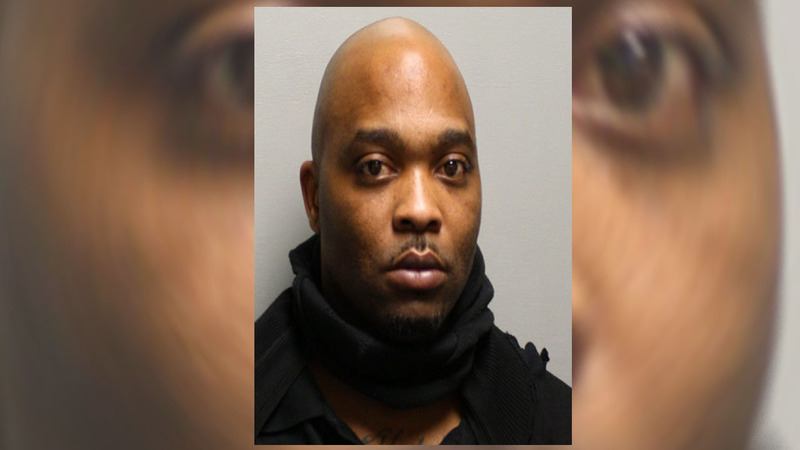 Frederick Donnell Foster, 36, is considered armed and dangerous, according to the Harris County Sheriff's Office. Authorities said Foster is wanted in the death of Robert Russo. Russo was killed on the first floor patio of his apartment during an alleged robbery early Saturday morning, according to sheriff's deputies. The incident occurred at an apartment complex located in the 1000 block of Cypress Station Drive. Another man is also accused in the murder. Homicide investigators reportedly followed a blood trail near the scene of the shooting to the rear of the apartment complex where they located 26-year-old Michael Jerome Brown. Authorities said Brown was lying on the ground next to a ski mask and was injured with a gunshot wound to the side. He was taken to the hospital in stable condition. Brown remains in the custody of the Harris County Sheriff's Office. Anyone with information on the whereabouts of Foster, or the murder of Russo, is asked to call the Harris County Sheriff's Office at 713-274-9100, or Crime Stoppers at 713-222-TIPS (8477).